This work answers the question posed by a number of male art historians and critics: &quot;Why were there so many influential women artists in the inter-war period?&quot; The period between the two wars has been recognized as crucial for women's art but it has never received a proper analysis because art history has been framed (until recently) by a male, linear interpretation which marginalizes the work of all but the most celebrated women artists. 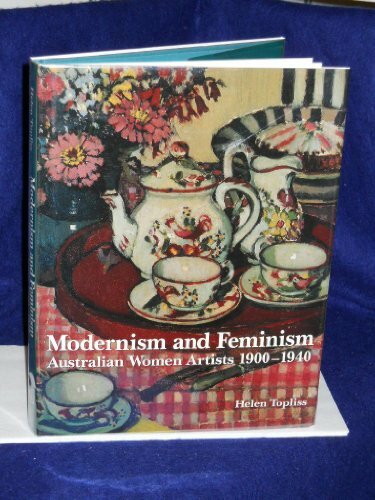 Helen Topliss' account establishes a female context for women's art in Australia and demonstrates how women artists belonged to a female network which fostered modernism. Modernism provided a conducive form of expression for women artists since it originated in opposition to traditional academic practice (which had marginalized female artists) and it focused on qualities that had been identified as feminine by many theorists of modernism. Helen Topliss connects Australian contexts to their European artistic and social contexts, and reveals Australian women artists' awareness of the issues raised by the movement for female emancipation.<p></p>In analyzing the work of a number of women artists, in a variety of arts and crafts, she establishes a model for contextualizing both minor and major modernists of the period. Not only were the women artists in this study aware of the history of feminism but they were equally aware of the necessity to establish a female genealogy for their art. Helen Topliss is an ARC Post-Doctoral Fellow at the Humanities Research Centre, Australian National University.